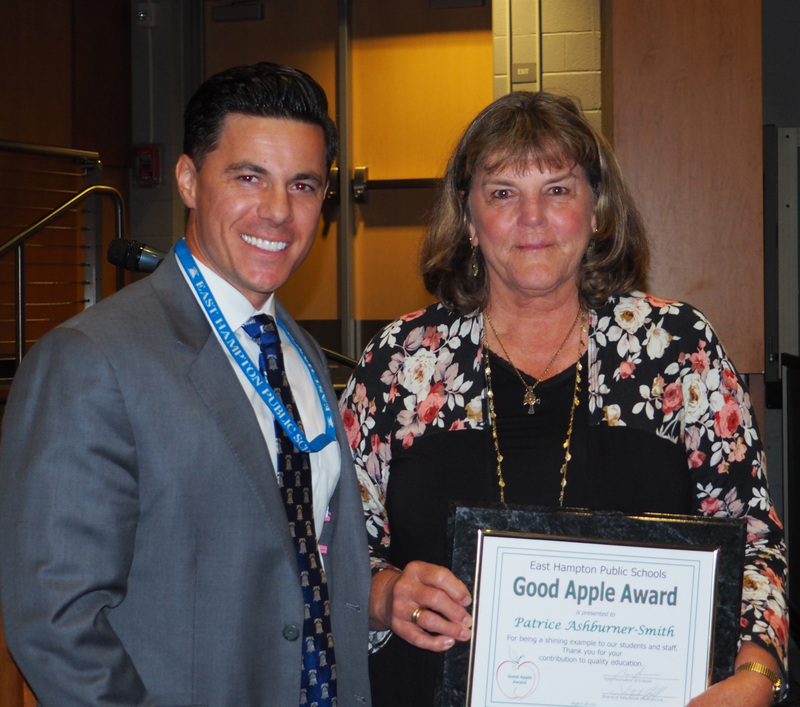 This Good Apple has only been with our district for two years, but has impacted staff, students, and families as if she has been here a lifetime. She is always willing to go above and beyond for students. Her attention to detail in scheduling and classroom support ensures that the days run smoothly. Always present in the hallways and classrooms, her presence has supported the daily routines of the school. When it comes to her staff, she has endless concern and has always had an open door policy. 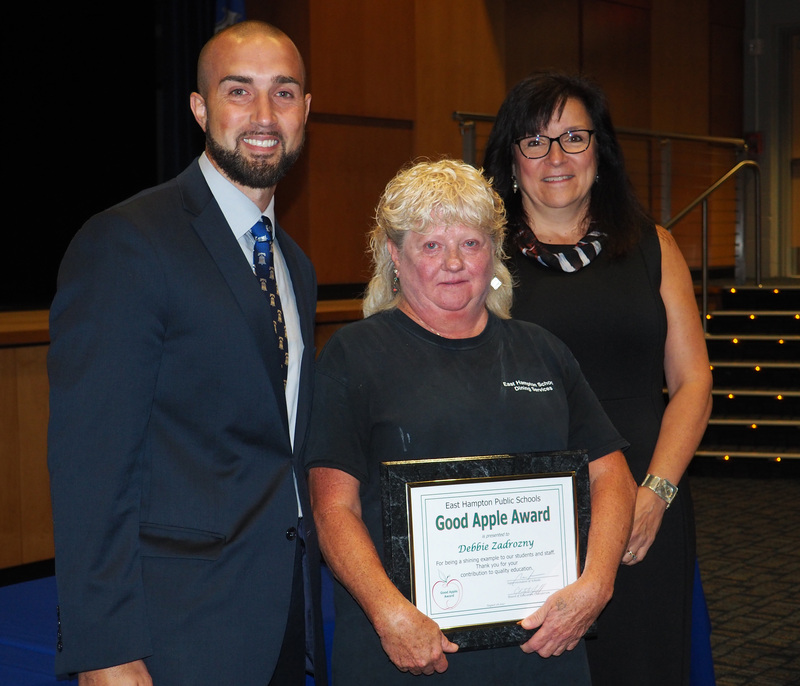 Her continuous positive attitude illuminated the halls of her building and helped gain the respect of all of the staff and community of Center School. 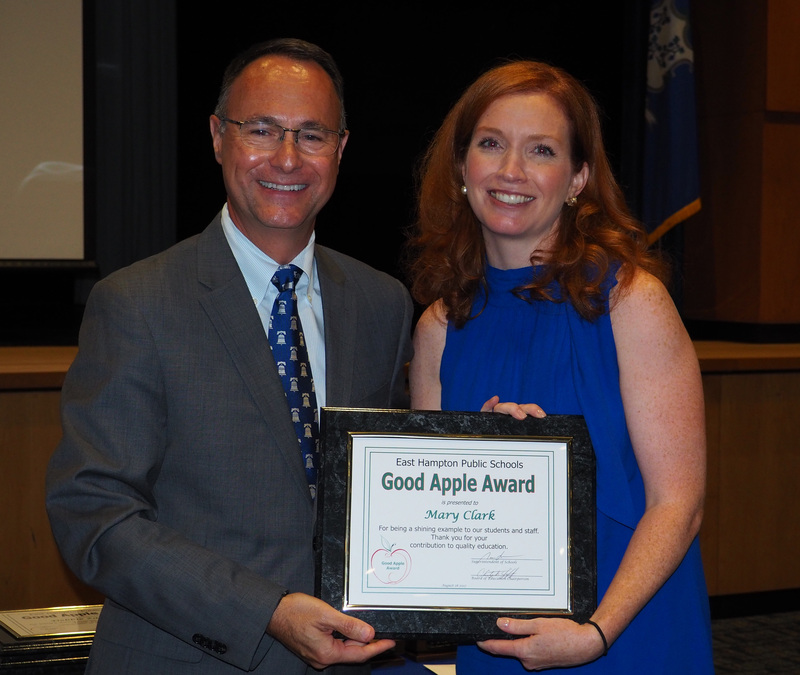 Yes, Mary Clark, you are a Good Apple! In our work as educators our primary goal is to meet our learners where they are and to help them grow while recognizing them as not just a learner, but a whole person who needs to thrive. This Good Apple embodies this goal in her work every single day. Student-centered and committed to doing what is best for each learner so they can develop their skills and their personal passions, she is no nonsense about her kids-first attitude. She is deeply aware that our work is inherently collaborative and none of us can create the kind of growth we want for our students alone – it takes a village. As a result, she is incredibly collaborative and team-oriented. She has a gentle approach to all her students and the staff. In the face of any challenge, she remains committed to her students and brings good humor and song along the way. Her good will extends to the entire community and her what-ever-it takes attitude is often applied to school-wide events. Because of all of this and more, Patrice Ashburner-Smith, you are a Good Apple! This Good Apple stepped up and took on extra responsibility without hesitation or missing a beat. When the manager position opened up this Good Apple, on her own taught herself a new software system and food ordering process. She kept food flowing into the cafeteria and the meals flowing out, while simultaneously training a new staff member and figuring out the requirements of her own new position. Under her direction, the meal counts and participation rates have increased and this cafeteria is now serving record levels of children. Her work ethic and organizational and cooking skills are unmatched. What is most impressive is her spirit and positive attitude. She always is willing to go the extra mile! Deb Zadrozny, you are a Good Apple! This Good Apple was nominated by a parent, who wrote that this bus driver drives her children back and forth to school every day. My children adore her because of her caring and positive attitude that greets them every morning. She reaches out to the Kindergarters and makes sure they are comfortable taking the bus and seats them up front. If one of my children is sick she will ask about them. She has a special way with behavioral issues and never wants to make a child feel bad. When a time span went by and my children were not riding the bus, they missed “Miss Julie”. Yes, Julie Einsiedel, you are a Good Apple! This Good Apple’s commitment to excellence is evident and obvious to all who come across her during the day. She oversees the collections at two libraries, completed the automation of the collections, collaborates with library media para educators, mapped the K-5 library media curriculum and still provides instructional support to classroom teachers. 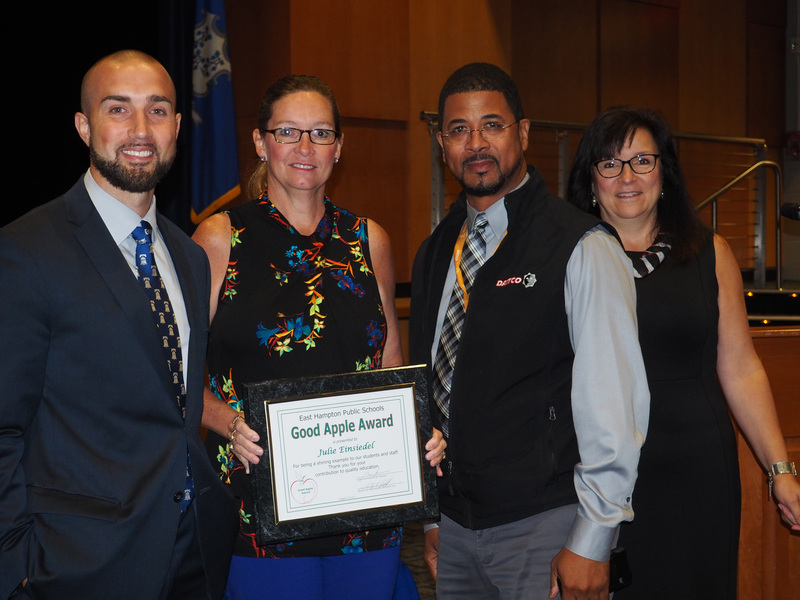 She exemplifies the qualities of teachers and colleagues with her willingness to do whatever is needed in the service of the common goal – the growth of our students. Despite splitting her time between two schools she never hesitates to take on additional projects from supporting summer reading planning to author visits at Center School. 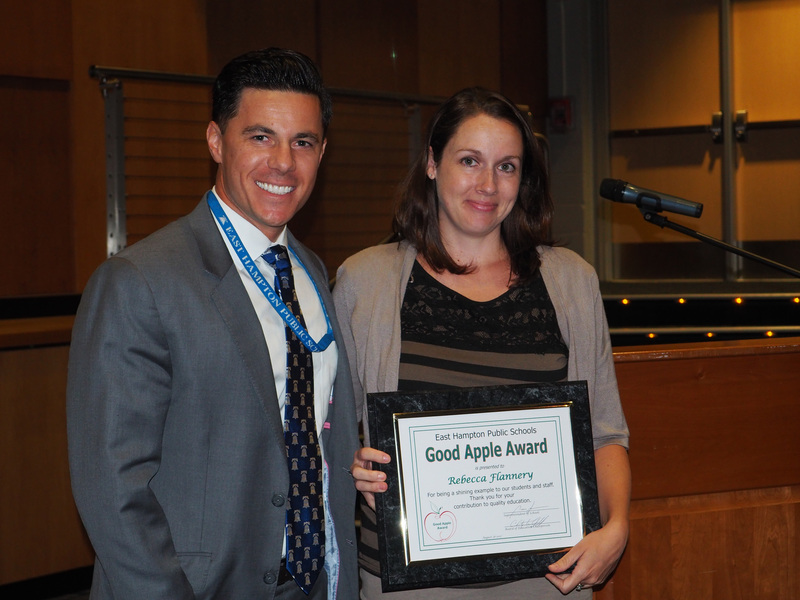 This Good Apples warmth and love of literacy make her an asset to our school district. Rebecca Flannery, you are a Good Apple! This Good Apple is described as kind and caring by a parent who nominated him. His natural ability to connect with his riders makes their bus ride a pleasure every day. He is highly dependable and runs his bus schedule to the exact time every day without fail. As a parent, I am grateful for this consistency. Being a bus driver can sometimes be a thankless job, however, it is the first face and last face of the school district for our children each day. 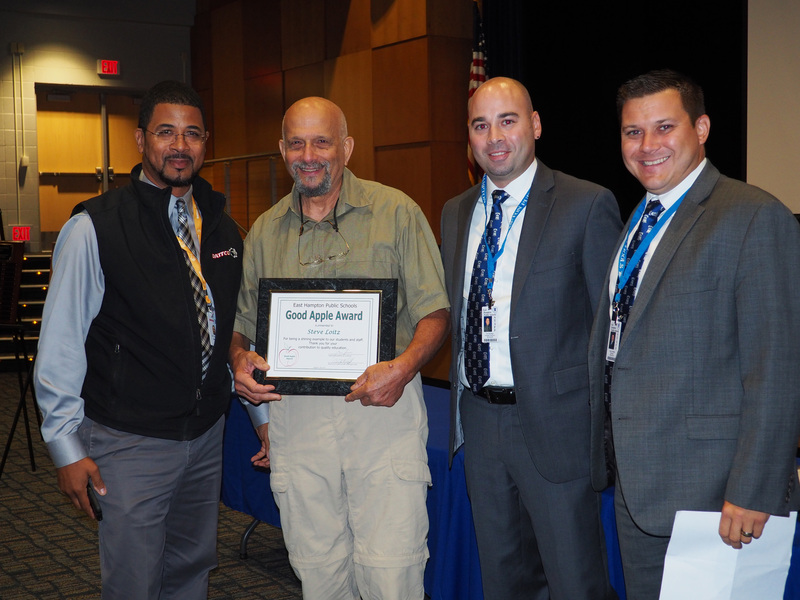 If a parent is taking time to nominate you know this person is special – and Steve Loitz, you are a Good Apple! This Good Apple is described by a parent who nominated her “as the single best thing to happen to my son this year”. My child has struggled with math for years and we knew that Middle School is a make-or – break time with new math challenges. This teacher has met with my son every week to review the lessons and homework in a quiet, supportive setting, before all of the other students come to school. The results have been remarkable – not just in my son’s grades, but in his attitude towards math and his confidence in himself. My family can’t thank you enough! 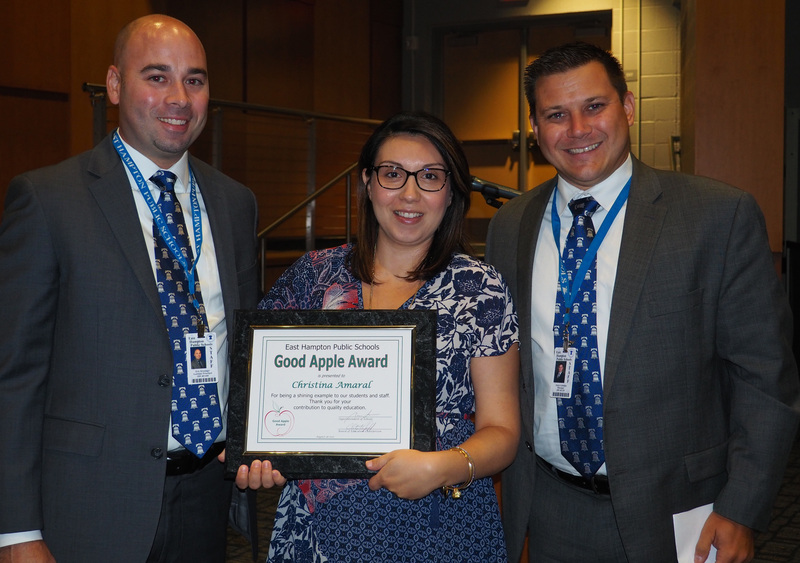 Christina Amaral, you are a Good Apple! The NEASC accreditation process is daunting. Luckily, the high school has two good apples who make it more manageable for the rest of us. These teachers, serving as steering committee co-chairs, voluntarily tackled the mammoth task of organizing everything-- creation of committees, collection and organization of evidence, and professional development-- as the high school geared up last year. This year, they’ll continue their Herculean efforts in advance of the March 2018 visit, when sixteen educators from around New England descend on EHHS and spend four days immersing themselves in our values, curriculum, instruction, assessment, culture, and resources. These good apples cheerfully carry out their NEASC responsibilities, which they have accepted in addition to their own teaching loads. They constantly reassure stressed-out colleagues and are always ready and willing to answer questions through what can be a confusing process. We rely on them for their calm, steady advice. To both their students and their colleagues, Regina and Melissa are shining examples of what it means to go above and beyond expectation. We are lucky to have them lead us in this process. 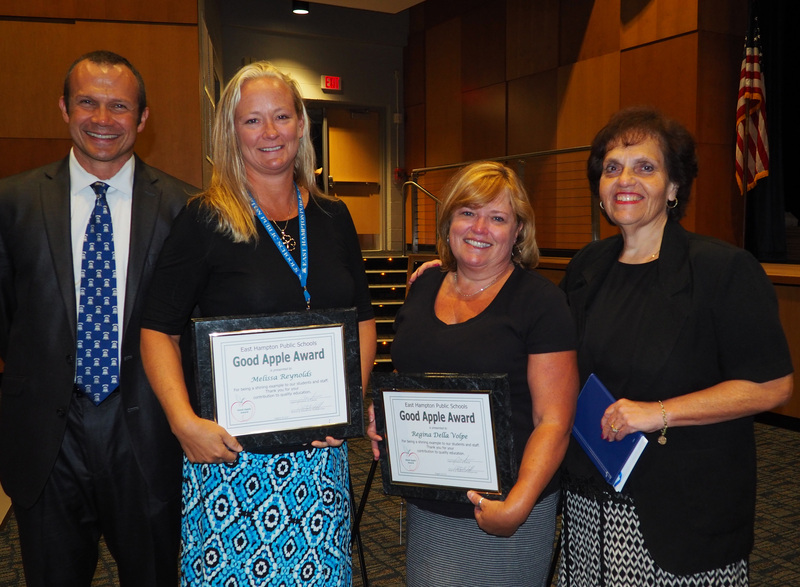 Regina Della Volpe and Melissa Reynolds, you two are certainly Good Apples!